Our teams’ capabilities come from long careers at manufacturers, both large and small. They’ve started their own companies, worked for major employers, and led companies across the Southern Tier. Our consultants are business advisors and business professionals, wearing many hats. Over several years they have built great reputations for understanding and meeting the needs of manufacturers, and are dedicated to supporting manufacturing CEOs and their executive teams in their quest for business growth and organizational transformation. Carol has extensive knowledge of the Southern Tier’s manufacturing sector and has a proven track record of success. Carol works closely with AM&T’s clients, stakeholders, and partners. As the Executive Director, Carol is building on AM&T’s past successes and is leading the organization in customizing and expanding its services to better serve the manufacturing community. Carol joined the organization as a Principal Consultant in 2004. She has helped clients achieve millions in impact through the application of Lean Thinking Principles and Manufacturing Operations Excellence. Carol has a B.S. in Industrial Engineering from SUNY Buffalo, and a M.S. in Management of Technology from Polytechnic University. She is a member of the Association for Manufacturing Excellence (AME) and holds various professional and industry certifications. EXPERTISE: Business Assessments, Strategic & Operational Planning, Continuous Improvement, Project Management, Technology Integration, Benchmarking & Best Practices, Team Building, Change Management. 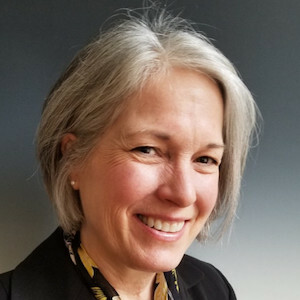 Deb is a GE Certified Master Black Belt with 20 years of Lean Six Sigma experience; she has received numerous awards during her career as an MBB including being recognized by The Six Sigma Management Institute with an award for Coaching Excellence. Prior to acquiring Master Black Belt certification, Deb spent more than 10 years working in new product development engineering and manufacturing in roles such as Designer, Product Development Engineer and Engineering Manager. In addition to MBB certification, Deb is also certified as a TWI Job Instruction and Job Relations trainer by the TWI Institute; as a Project Management Professional (PMP®) by the Project Management Institute and Lean Product Development and Lean Office trainer by NIST MEP. Deb is a graduate of Cardinal Stritch University, with a Bachelor of Science degree in Business and has completed post graduate work at the University of North Florida’s School of Business and SUNY Oswego. Bob is a graduate of the Rochester Institute of Technology (RIT) where he earned an A.A.S. degree in Photographic Engineering and a B.S. degree in Business. He accumulated over 33 years of experience with the GAF Corporation and IBM Corporation which included product development and marketing as well as domestic and international Functional Assessments / Evaluation of Business Practices, Manufacturing Logistics, Cycle Time Reduction, and Business Process Analysis. Prior to coming to AM&T, Bob spent six months with a national Registrar of Quality Systems. Since joining AM&T in 1995, he successfully completed Lead Assessor Training for the ISO 9001, ISO 14000 and AS 9100 Standards. He developed the AM&T client ISO / AS QMS implementation and training program and related internal audit service. Bob is a Professional Business Advisor [PBA] and an Exemplar Global Certified Lead QMS Auditor – Certificate #4883. He has assisted over 100 clients in the development of their documented quality management systems, performance of their required internal audits and successful achievement of their certification. EXPERTISE: ISO 9000 and AS9100 Training, Preparation and Internal Audits, ISO 9000, AS9100 and 14000 Lead Assessor. Glenn Neu has over 35 years in the manufacturing sector and has worked a variety of operations and management functions, including Quality Management, Engineering, New Business Development, Supply Chain Management and Production Control. Glenn has assisted organizations in developing and implementing ISO quality systems as well as the implementation of ERP systems. He is skilled in MRP having been trained in Master Scheduling, Inventory Management and Project Management. Glenn also has a broad understanding of Lean, Six Sigma and Short run SPC. Glenn joined AM&T in 2018 and has completed AS9100 Lead Auditor Training, ISO9001 and ISO 13485 internal auditor training. He is also certified from Training Within Industry (TWI). Glenn’s background stems from the University of Wisconsin at Madison where he studied Industrial Engineering and Corning Community College where he studied Computer Science. Kathy has 35 years of accounting experience, mostly in the non-profit sector. She joined AM&T in 1995 and is responsible for handling all of AM&T’s finances and reporting. Kathy manages client contracts, tracking & invoicing and monitors AM&T goals and state/federal reporting. She is responsible for preparing work papers and interfacing with our outside auditor for our annual financial audit. She also prepares the quarterly board package and presents the financials at the AM&T board meetings. She provides support in Lean classes and at trade shows, and helps clients complete their financial reimbursement requests on certain grants. Kathy has a BBA degree in accounting from St. Bonaventure University, is a Notary Public and belongs to the American Institute of Professional Bookkeepers.